Hey Boston friends! You know what you should be doing this Thursday evening? Stopping on in and visiting me at the LOFT grand re-opening event at the Prudential Center! I’ll be there alongside Emily of So Anthro and the ladies of Blog Better Boston, offering styling advice and our company while you shop and enjoy music and refreshments. 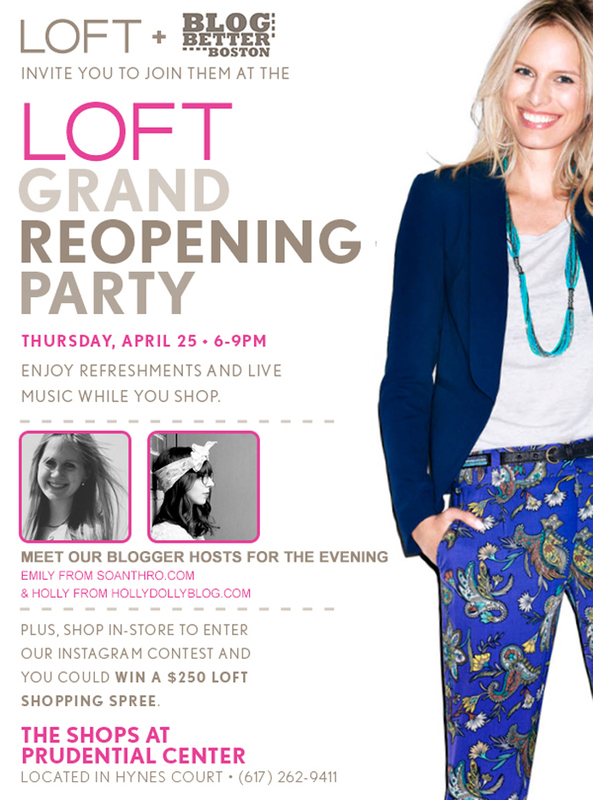 Oh, and did I mention that there will be an Instagram contest where you could win $250 to LOFT? Yeah, pretty awesome. So come on down and hang out with us! Hope to see you there!